Falling production in the oil extraction sector over the past couple of years has seen industry giants adopt cost-reduction strategies across their operations, including in their procurement of remote site medical services. The shakedown in the sector has created a knock-on effect on all companies in the supply chain who now face shorter project cycles and the uncertainty of shorter contracts. According to industry analyst John England who authored Deloitte’s 2017 Oil and Gas Industry Outlook, “Oil companies have learned how to operate in a lower price environment, returning to a healthier focus on capital and operating cost discipline”. This new dynamic, however, has its upsides. We are now seeing within the sector the rise of flexible, highly-responsive and competitive mid-sized players, both in the extraction industry itself and among companies that support its operations. These companies are able to work efficiently, and yet still highly effectively, unflummoxed by shorter-term contracts. At Medilink, we have always run a strictly audited operation rigorous in our clinical governance and project management, ensuring complete transparency from client proposal to service delivery in the field. We have never been complacent nor assumed that medical assistance contracts will roll on almost in perpetuity without our obligations to clients undergoing close scrutiny and review. With extraction firms looking critically at every aspect of their production chains, remote site medical services firms need to be highly competitive in terms of budget, without compromising professionalism in service delivery, whether of personnel or supplies. Given the current market exigencies, medical services providers must not only fulfill their contracts professionally but also do so with far greater levels of flexibility and openness. Our flexibility and responsiveness recently secured us a mid-term project in Namibia with a new client; we deployed a full-service medical team in the field within 10 days of lodging a proposal. Namibia represents a new country of operation for Medilink, but thanks to our established, reliable international network of regional suppliers, we were able to deliver within record speed and to strict criteria. Throughout the project life cycle, we conduct ongoing audits to ensure we demystify our services and offer value-for-money. Our audit team looks not only at budgetary aspects but also runs regular face-to-face meetings with our field staff, supporting them and our clients in a transparent manner. This feedback enables us to evaluate the service delivery throughout the contract and importantly pre-empt any issues arising in the field. 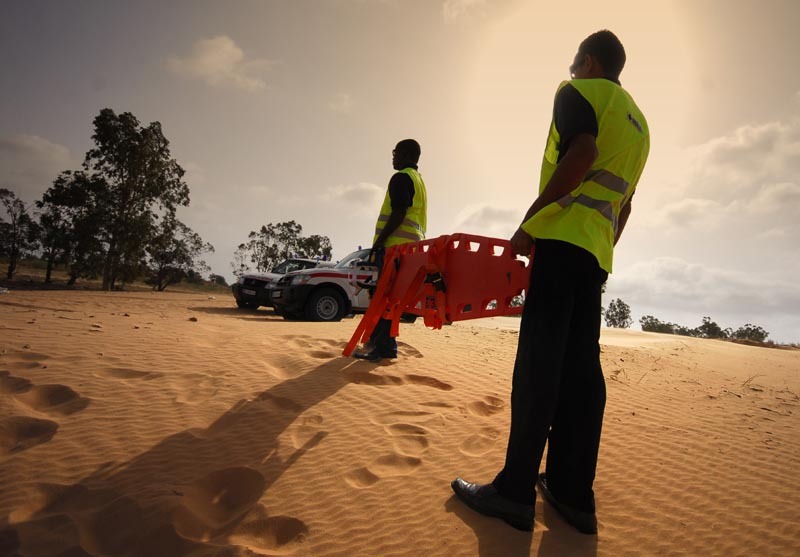 For two decades, Medilink has been providing first-class services in some of the world’s most remote sites and tough environments. Our story has seen us grow from serving one key market in North Africa to being engagement worldwide wherever our clients’ projects take them. As we have grown, we have not lost touch our core values, prime among which is our mission to be an alternative partner for our clients, offering a trusted, accountable, human face in the provision of international medical assistance services. Looking for an alternative for your remote site medical needs? We’re here to answer your queries and help interpret your needs into sound, cost-effective plans. Feel free to contact us to discuss your next project, including short-term contracts.